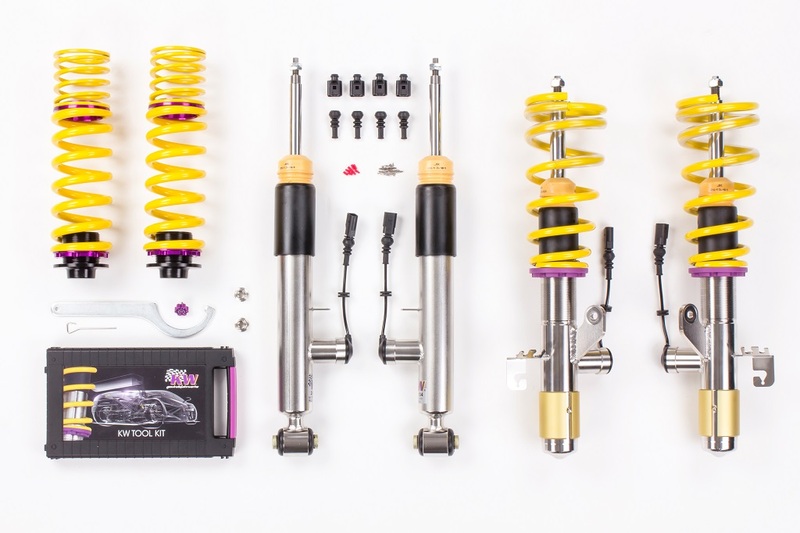 Together with its brands KW coilovers, ST suspensions and Lambo Style Doors, the suspension manufacturer KW automotive presents its new products in Geneva. The new exhibition stand in Geneva (Stand 2042, Hall 2) emphasizes the strong commitment of the suspension manufacturer as a development partner of many sports car manufacturers, car tuners and car manufacturers. 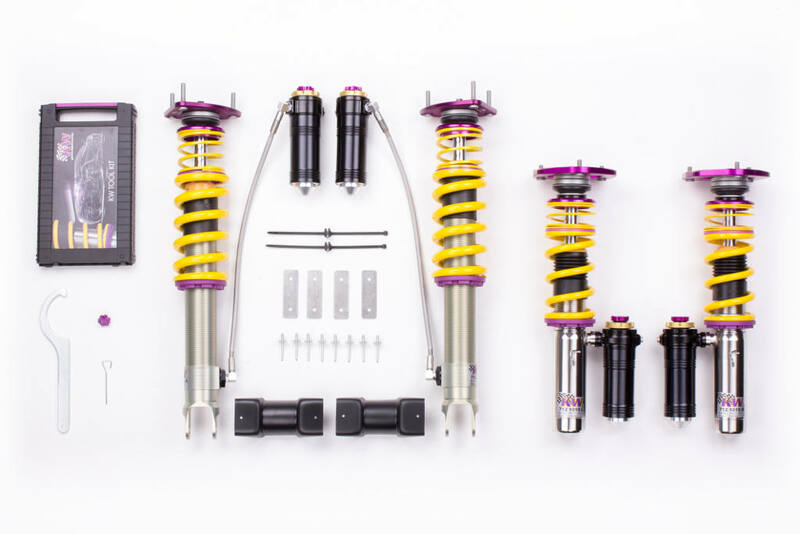 As a pioneer in the development of adaptive coilovers, KW offers its KW DDC coilover kit as an intelligent plug & play version for more and more vehicles. 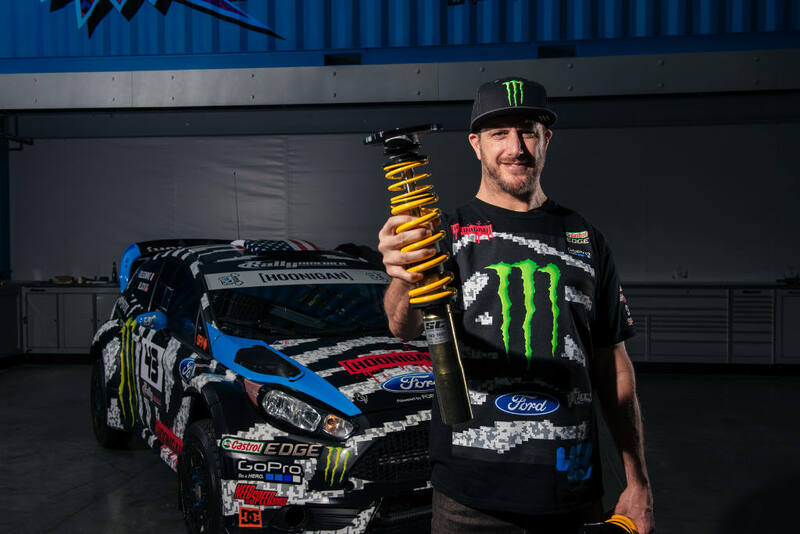 This makes it possible to combine the advantages of KW coilovers with an adaptive damping control. 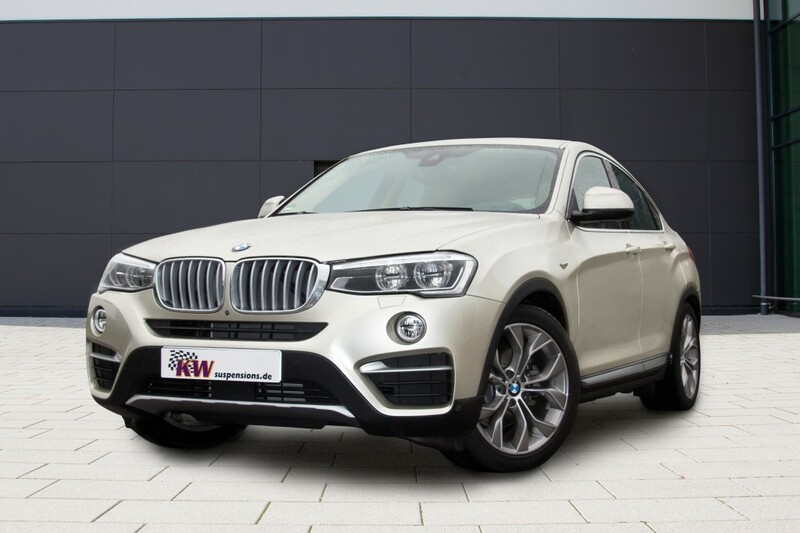 So the BMW X4 can be lowered by up to 70 mm and all features of the BMW suspension control electronics remain. 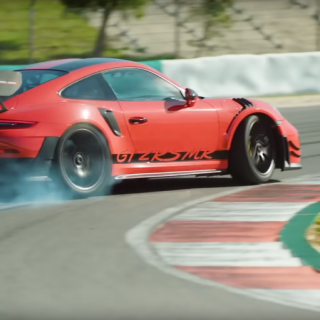 For Porsche drivers who want to experience the maximum performance with their 991 on the circuit at track days, the KW Clubsport 3-way coilover is the perfect suspension. KW celebrates its premiere in Geneva. 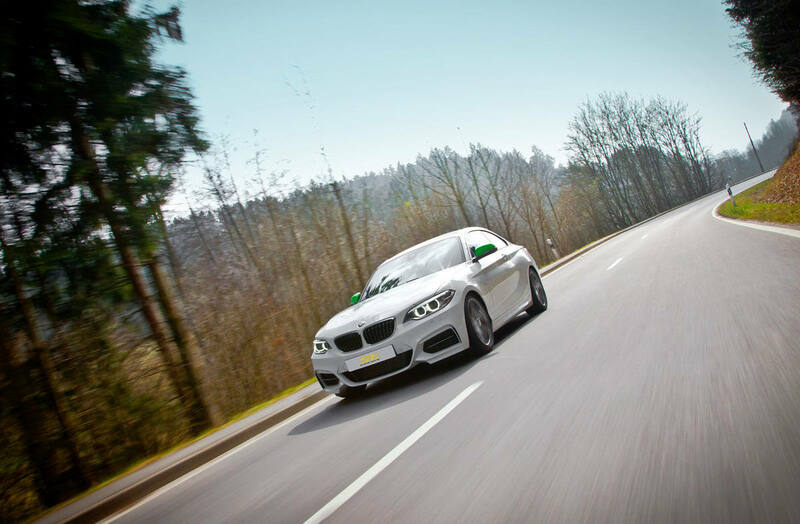 Similar to the successful KW competition racing suspensions, the Clubsport suspension allows to separately adjust the damping forces in low- and high-speed compression and also in rebound. 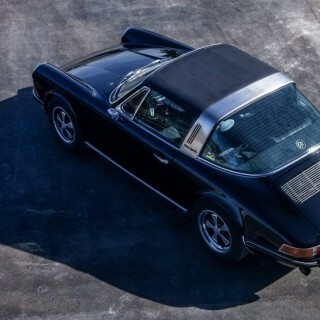 In addition, the camber can be adjusted via the adjustable top mounts and the Porsche be lowered by up to 50 mm. Of course, the KW Clubsport 3-way remains street legal and the Porsche enthusiast is able to drive home with his own car after a successful track day. 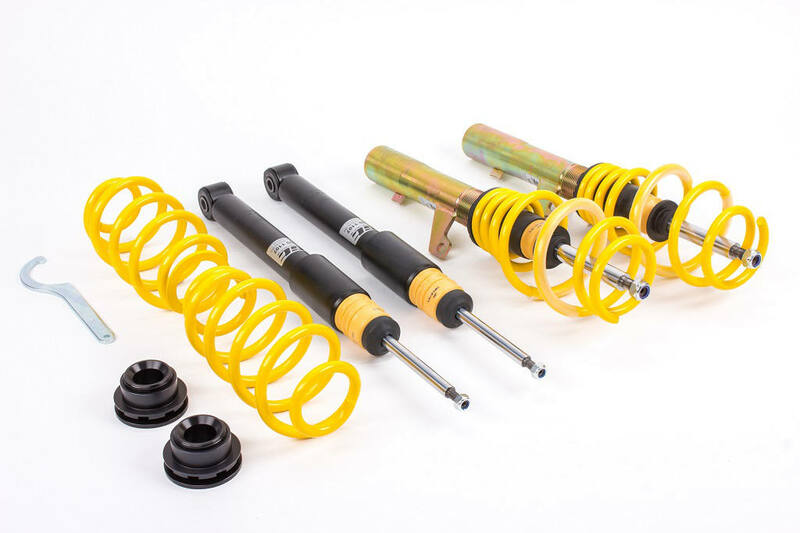 In addition to KW coilovers made of stainless steel, the suspension manufacturer also expands its range of height adjustable springs. These are suspension springs that allow a continuously lowering, just like a coilover kit. 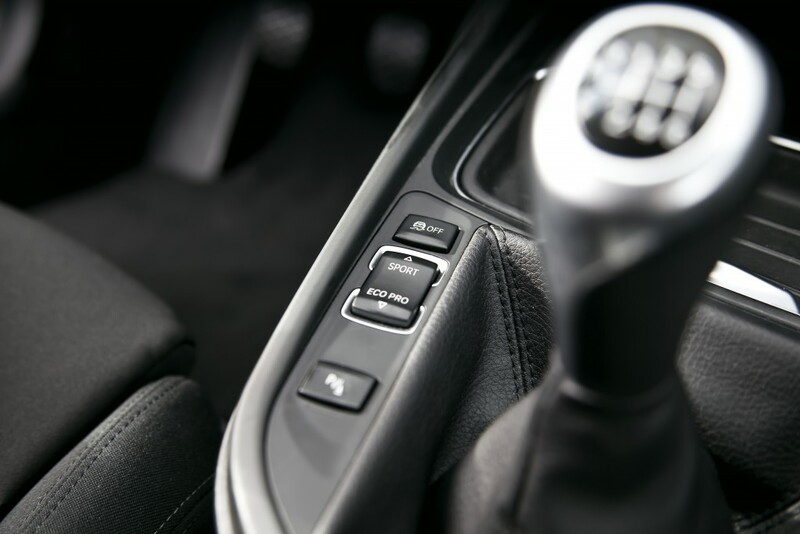 For example, the height adjustable KW springs for the latest Jaguar F-Type allow an individual lowering of 5 – 25 mm. 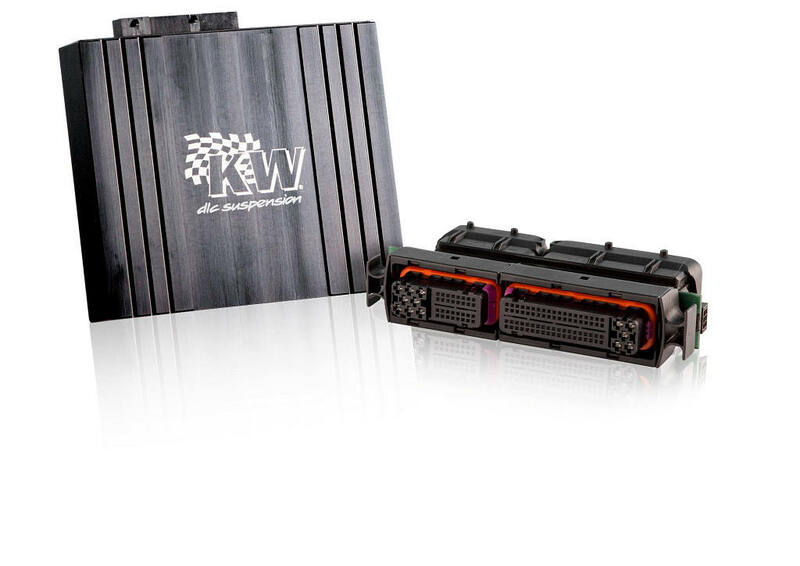 With KW dlc airsuspension, the suspension manufacturer expands the serial board electronics with the feature of a continuous lowering via smartphone app. The KW dlc airsuspension kit is available for numerous vehicles with air suspension. 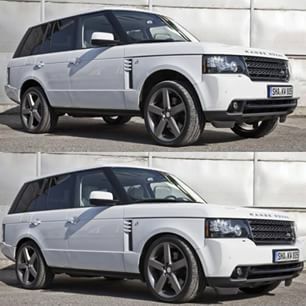 For example, the latest Range Rover (Type LM) can now be lowered by up to 50 mm via App. Of course, the original comfort functions remain. The suspension components of the KW brand “ST suspensions” are positioned in the middle price segment and have achieved a very high market penetration since the worldwide sales has started in 2014. 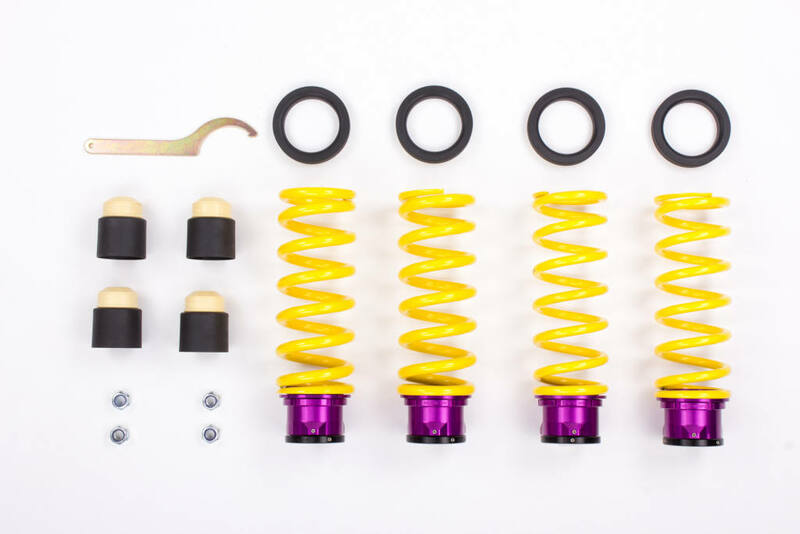 In addition to ST sport suspensions, KW also presents in ST lowering springs, ST Spring Distance Kits and numerous ST coilover applications in Geneva. 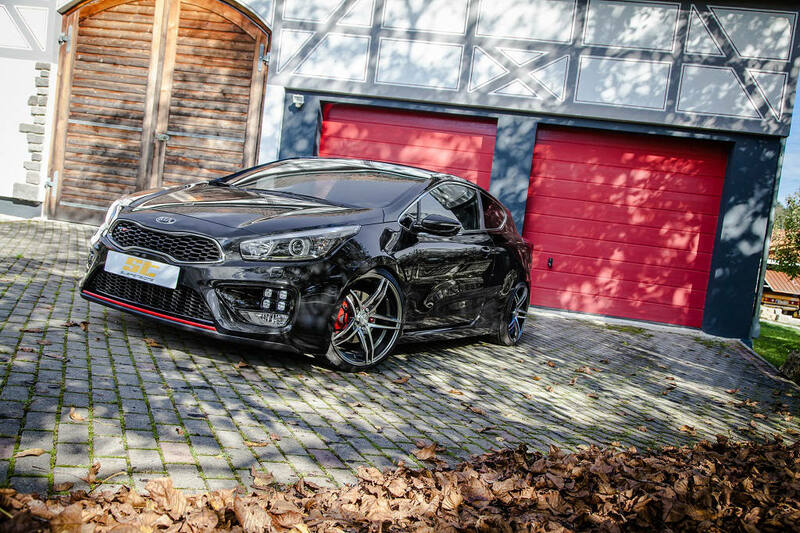 ST offers one of the first coilover kits for the KIA cee’d, pro cee’d and pro cee’d GT. 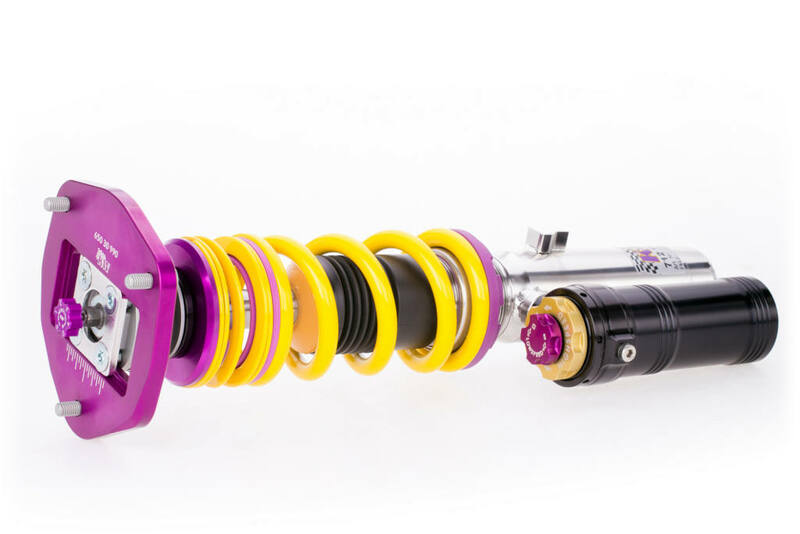 For these models the ST X coilovers allow a continuous lowering of up to 55 mm. 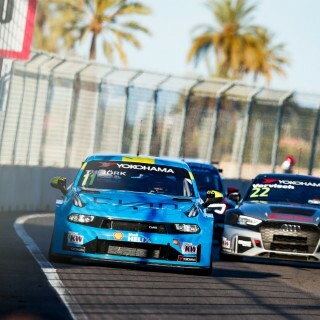 Further highlights are for example are ST springs for the BMW M235i xDrive and other vehicle models. Also the further developed Lambo Style Doors with the “One Move” technology are presented for the first time to an international audience in Geneva. The hinges that are available for the Audi R8 and Lamborghini Gallardo, allow an even more elegant opening of the car doors. The Lambo Style Doors now swing in only one move upwards and will be braked gently at the end.